DUBAI, United Arab Emirates, Jan. 22, 2019 /PRNewswire/ — House of Rose Professional (HORP) Pte. Ltd. today announced that the 2019 Middle East Edition of Break the ceiling touch the sky® – the success and leadership summit for women would be held in Dubai, UAE on April 10, 2019 with AMCHAM Abu Dhabi and French Business Council Dubai & Northern Emirates as the key Industry Partners for the summit. Coca-Cola is a 2018 and 2019 World Sponsor, Fine Hygienic Holding is a Platinum Sponsor, General Motors is a Gold Sponsor and Reckitt Benckiser(RB) a Silver sponsor. The move to bring the summit back to Dubai, UAE has been inspired by the UAE’s commitment to gender diversity. The 2019 Middle East Edition of Break the ceiling touch the sky® is led by 30 C-suite leaders including James Michael Lafferty, CEO, Fine Hygienic Holding; Carrie Niggli, Senior Director for Customer Development, Middle East and North Africa, The Coca-Cola Company; John Roth, President and Managing Director General Motors, Africa and Middle East; Shahzeb Mahmood, Regional Director and GM, MENAP, RB; Noha Hefny, Senior Consultant, Head of Strategic Partnerships, UN Women; Sanjiv Kakkar, Executive Vice President, Unilever MENA, Turkey, Russia, Ukraine and Belarus; Luciano Poli, President India, Middle East, North Africa and Turkey (IMET), The Dow Chemical Company; Maria Conceicao, Founder Maria Cristina Foundation; Jules Lewis, Director, Mountain High UAE & Colorado and Liz Beneski, Executive Director at AMCHAM Abu Dhabi. 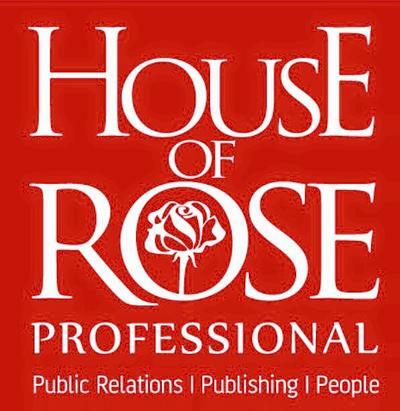 For details please visit www.houseofroseprofessional.com.